Avoid high tides. Some climbing over or maneuvering around logs may be required. Wear shoes with good traction, and be mindful of slippery rocks. Latitude: How does a sea anemone catch its food? 19. It waits for another animal to brush against its tentacles, then it stings the other animal and eats it. 22. It glides slowly over rocks, eating algae as it moves. 37. It pulls water through its body and filters out tiny particles of food. 58. It reaches out with its tentacles to grab other animals that swim by. Longitude: What can you can do in your home and yard to help prevent toxic stormwater runoff that pollutes Puget Sound? This requires a walk of about 1/4 mile down and back up a fairly steep trail that can get muddy in places after a rainfall. Wear good walking shoes. The wooden parts of the trail can be slippery when wet. 27. Feed it some fish. 33. Take it home and put it in the bathtub to keep it wet. but requires a bit of a search. 61. It is an important part of the ocean food chain. 46. It provides a protective nursery and shelter for many marine and near-shore animals. 24. It helps prevent erosion. Latitude: How do mussels protect themselves from predators? 19. They emit a stinging poison that drives the predator away. 21. They move rapidly through the water to a new hiding place. Longitude: What can you do to protect Puget Sound salmon habitat? 22. Consider alternatives to bulkhead construction. 61. Keep or install a buffer of native plants along the beach or bluff. 45. Keep pollutants from going into the Sound. 38. Keep your septic system from failing with regular inspections and maintenance. 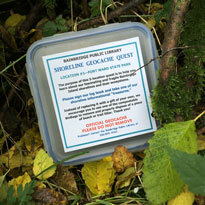 Click here for printable version of Geocache clues. 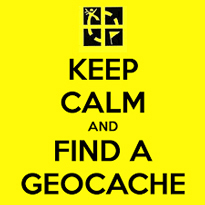 Click here for printable version of Geocache answers.